As Rose Tyler embarks upon her first big TARDIS adventure with the newly-regenerated Doctor, they discover a sinister hospital run by strange cat people and run in to two old acquaintances, The Face of Boe and Cassandra. The Krillitanes - aliens with a mix-and-match physiology - are trying to crack the 'God-Maker', a paradigm to give them ultimate power. They are using children as a computer, and only the Doctor and Rose, re-united with Sarah Jane Smith and K9 can prevent them from becoming masters of time and space. The Doctor, Mickey and Rose land on a spaceship in the 51st century only to find 18th century Versailles on board, the time of Madame De Pompadour! To find out what's going on the Doctor must enter Versailles and save Madame De Popmpadour but it turns into an emotional roller coaster for the Doctor. Upon landing on an alternate version of the Earth, The Doctor, Rose and Mickey learn that Peter Tyler is apparently alive and well. Lurking in the shadows are creatures made to destroy - one of The Doctor's greatest fears have come true...the Cybermen are reborn. 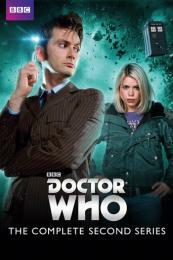 As Rose battles the murderous Ood, the Doctor finds his every belief being challenged to the core, as the Pit beckons. With the planet threatening to fall into the black hole, the Doctor must make the ultimate sacrifice.